The Gentlemen's Barber pays it forward to clientele with a handy app that offers perks like loyalty cards, mobile booking, and push notifications about daily openings for their favorite barber. 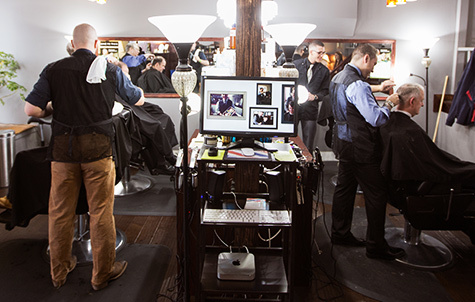 Michael Rechichi, owner of The Gentlemen's Barber, wanted to give his clients a clear line to open appointment slots and an easier booking process—and an app was the perfect solution. So perfect, in fact, that he's had to expand his staff, and soon his shop, because of the enormous and steady increase in new customers. Push notifications and mobile booking contribute to the success of his app: "We have customers who download the app before they've even stepped foot in the shop, and push notifications bring them in." 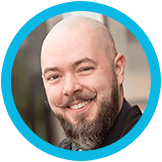 Michael is a model example of leveraging push notifications to better serve customers and increase business. "Social media is important, but push notifications allow for a more personal connection that you can’t get any other way," he believes. Michael shares the valuable insights below about using this powerful tool. If you send out email confirmations, use them to advertise your app whenever a customer books an appointment. Know your customers' schedule. Don't interrupt meals or send a message before 9 a.m. or after 8 p.m.
Make each message count and don’t become more noise. Your message should be something the customer wants to hear. Swiftic has definitely become a game changer in my business. We are so busy now that we're looking for a larger facility to offer more barbers and services."